Aplia Econ Blog: News for Economics Students: Why Don't We Outsource More Radiology to India? David Leonhardt's latest New York Times column takes a sober look at the mild hysteria over the alleged outsourcing of radiology work to India. 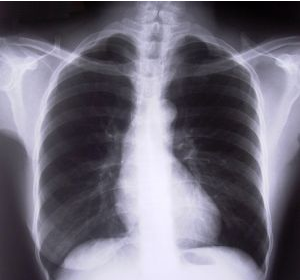 Radiologists diagnose diseases and ailments by reading x-rays and scans. A few years ago, the notion of Indians doing work traditionally reserved for American radiologists caught the attention of protectionists and free traders alike. Lou Dobbs expressed his typical indignation over the prospect of Indian radiologists stealing the jobs of their American counterparts, while George Will applauded the outsourcing of radiology as an avenue toward affordable health care. Dobbs and the protectionist camp saw unemployed American radiologists, while Will and the free trade camp saw less expensive diagnoses and lower medical bills. There's just one problem with the ruckus over radiology outsourcing--virtually no one does outsourced radiology work in India. According to economist Frank Levy of MIT, you can use one hand to count the number of Indian radiologists reading American x-rays and scans. To borrow a sound bite from Dobbs, hospitals aren't exactly "exporting America" on the radiology front. It's also unlikely that George Will's medical bills are going down any time soon--the labor cost savings from all of three Indian radiologists won't add up to much. 1. The mystery is why more radiology work isn't outsourced. As Leonhardt points out, the radiology outsourcing myth picked up steam because the work seems so ripe for offshoring. According to the column, what does radiology have in common with other industries that are outsourcing jobs? 2. If radiology outsourcing makes so much sense, why aren't more hospitals doing it? What trade barriers or occupational licensing restrictions protect American radiologists from competition with their equally talented foreign counterparts? 3. Outsourcing destroys some jobs but may create others. Consider three types of jobs in the health care industry: surgeons, nurses, and radiologists. Why aren't nursing positions outsourced? If radiology outsourcing actually occurred on a broader scale, what would happen to the demand for American radiologists? Might outsourcing more radiology work to qualified doctors in India actually lead to health care industry growth in the United States (think about George Will's claim)? How might more radiology outsourcing affect the demand for nurses and surgeons in the United States? Radiologists play a larger role in hospitals than just reading X-Rays. I am in a group of sixteen radiologists. As a department of the medical staff, the radiology department has a chairman who goes to the monthly medical executive committee. I know--I did it for 4 years. You fills that function in an outsourced department? One of my partners is currently president of the medical staff and devotes many hours to administative duties. Is a radiologist in India going to do that? A representative from our group attends all the various cancer forums and tumor boards at three different hospitals, at no charge. Can you outsource that? We also participate in resident and technologist education, and are a source of advice to our hospital administrators and are available for consultation with our fellow physicians. Iam a healthcare consultant from Chennai, India. I have a team of radiologists in Chennai, and we have been trying to have an association with radiology groups, and be as a back office support to them. I would like to have your advice and would like to contact you regarding it. You want a physician in India? What happens if there is an error? Now, good luck in finding someone responsible. thats a huge point - about finding someone responsible. my bitterness for the outsourcing thing occurred when I was hung up on when an indian could not solve my dell hardware problem. no accountability! no tumor! Well concerns regarding teleradiology are fair, howver lets look at a more collabrative model instead of taking it as a competition,we can have say radiologist from India giving Preliminary reports, emergency cover and say final reads, residnt teaching stays as it is.. Globalization is inevitable.. so why not forget about boundaries and use technology for the benefit for all..
You cannot stop something that makes economical sense. You cannot compare a $250 /Mo earning tele-support executive to a FRCS degree doctor in India. Lower costs do not equals to inferior quality. You could have a collaborative solution rather than complete outsourcing. Why not use the sub-specialists' assistance when required during late-night emergencies. And yes, health care is obnoxiously expensive and un-affordable in the united states. Unfortunately, like all other high end work, at least a part of this pie will go to lower cost countries like India. It has the cost benefit, quality and time flexible staff. Just a few "economists" need to rework their math.